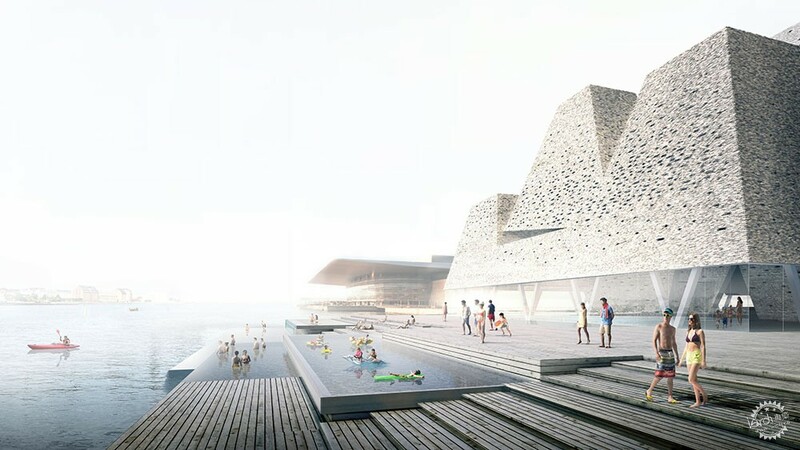 Japanese studio Kengo Kuma and Associates is designing an aquatics centre on Copenhagen's harbour, featuring indoor pools framed by brick pyramids and outdoor baths that terrace down to meet the sea. 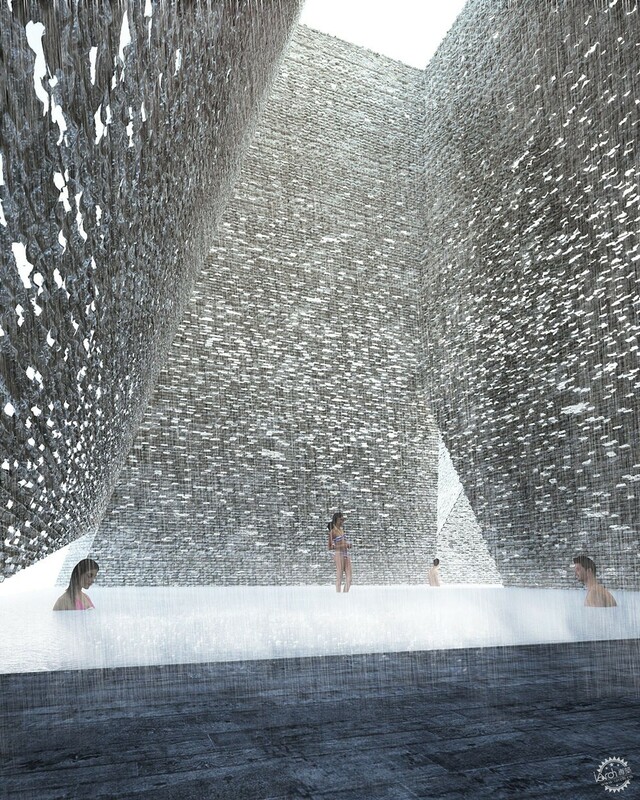 Kengo Kuma's office won a competition to design Water Culture House. 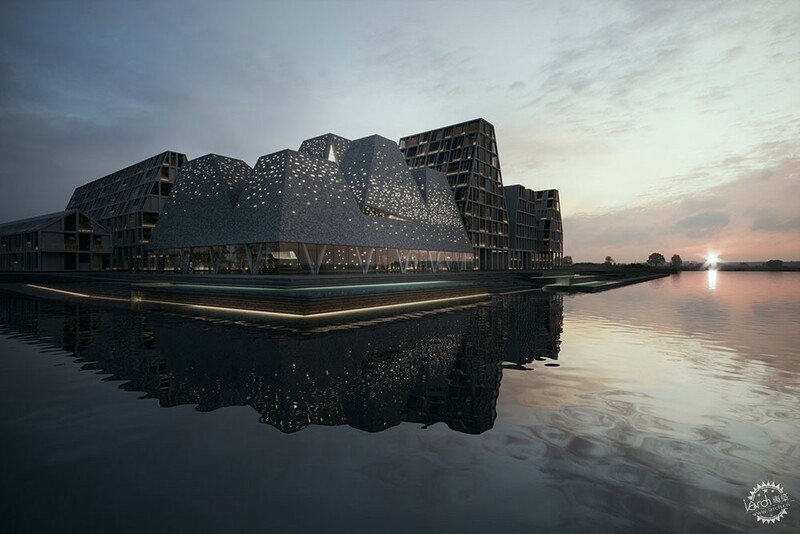 It forms part of COBE's regeneration of Chistriansholm – an artificial landmass also known as Paper Island, as it was once used by the Danish press to store their reams of newsprint. 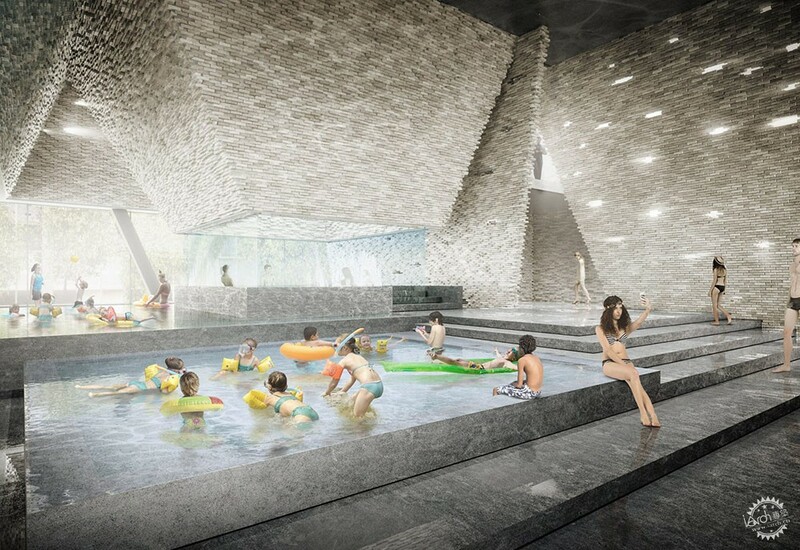 The glazed base of the 5,000-square-metre building will afford indoor bathers panoramic views out to the harbour, while a series of tapered brick forms above will partially protect smaller pools from the elements. The building will also include a gym and facilities for sports associations. 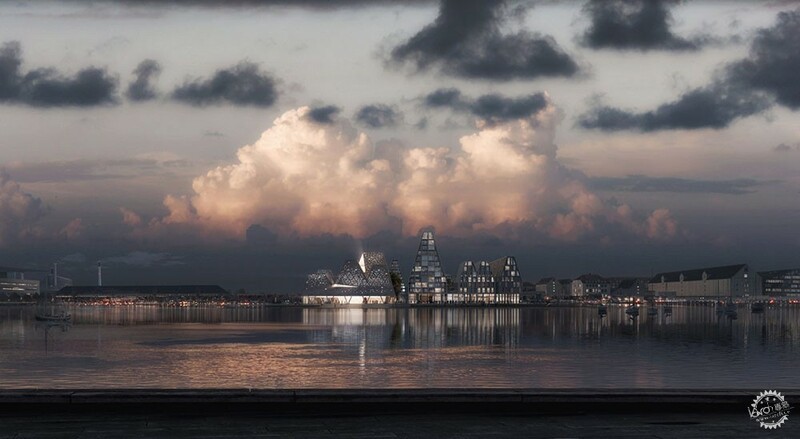 "[The] waterfront has become the foreground and the background for major cultural facilities and the quality open public area that defines the urban life in the city," said a statement from the project's lead architect Yuki Ikeguchi. "Our focus in design is to create an experience, and not just a standalone object, in the form of the landscape, art and architecture that are unified and defined by the water." The pyramidal forms will be made of earthen-toned bricks. 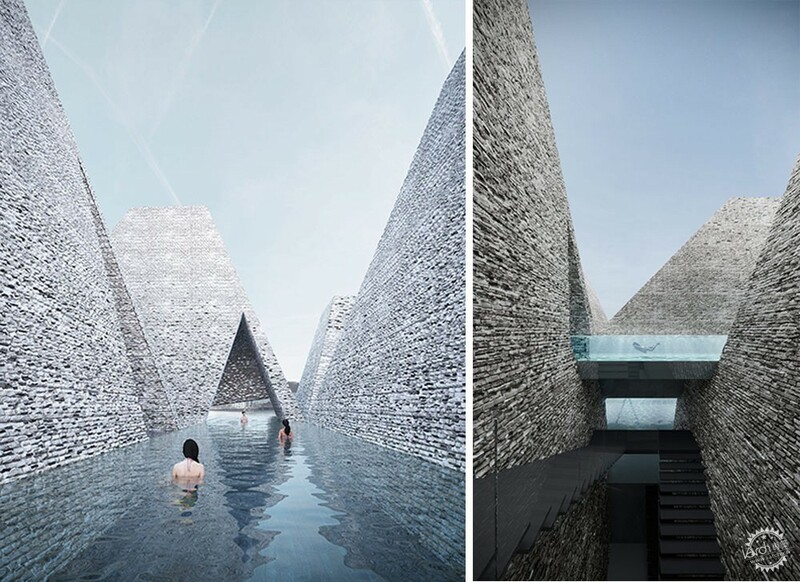 Some will feature triangular openings in their bases to allow the elements in, while others will be entirely enclosed and topped by skylights. This fragmented roof form responds to the design of COBE's adjacent building, a series of pitched-roof halls that will be used to host events including fashion shows and street-food markets. COBE's design will surround a courtyard, which Water Culture House will stand at one corner of. 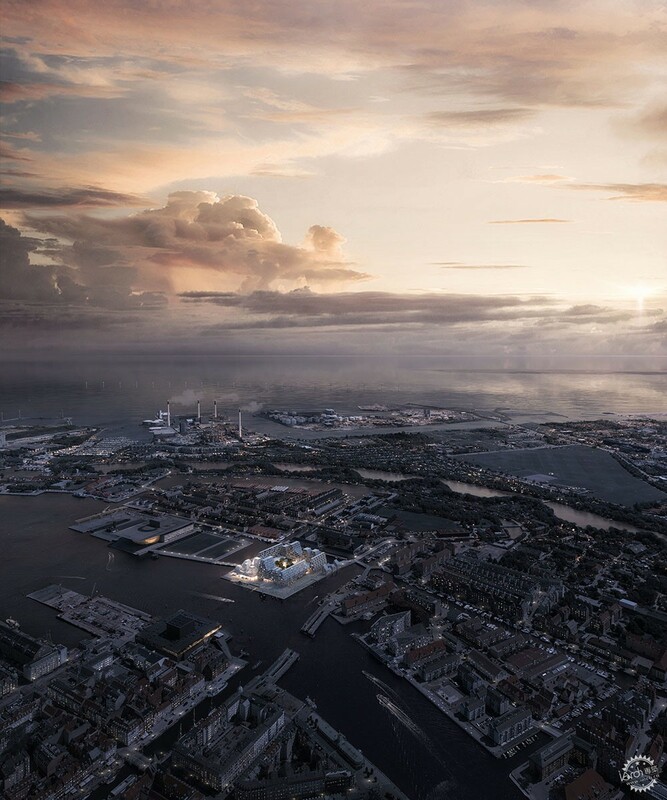 "Its architectural form, in a series of pyramid shapes, is in response to the masterplan guideline to work with the roof profile of Christiansholm but at the same time it expresses its unique identity," explained Ikeguchi. "What is distinctive from the rest of the masterplan building is that the architecture does not have a single front, but it is multi directional to be easily recognised and accessible from various directions," she continued. Decking will extend out from the glazed base of building, stepping down to the surface of the water and to providing access to the outdoor baths. "Our design attempts to soften and dissolve the edge and blur the sense of boundary of the land," said Ikeguchi. Kengo Kuma came in at number 14 on Dezeen Hot List 2017 – a guide to the most newsworthy studios, brands and institutions. The firm has been in the news recently with several major projects, including the V&A Museum of Design Dundee in Scotland, which is nearing completion, and the construction of its stadium for the Tokyo 2020 Olympics. 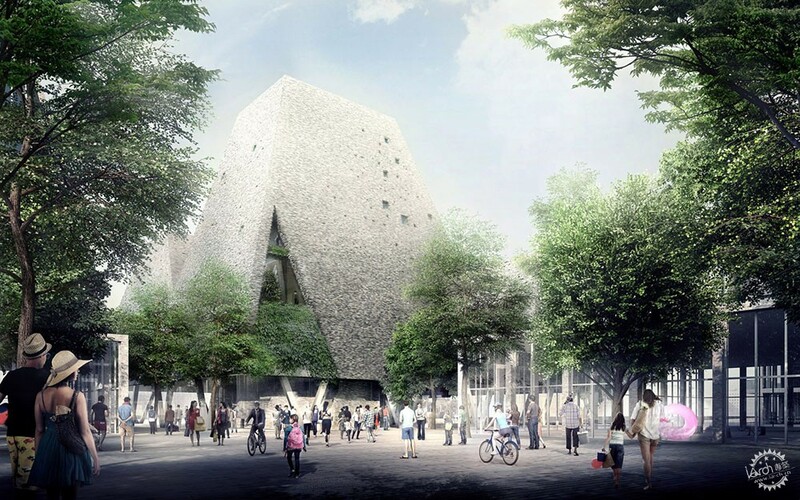 The studio also recently unveiled plans for Ace Hotel's first Japanese outpost in Kyoto.